Super Mario Bros. 3 was the last game on the NES, and it pushed the system and the series to new heights with the new feature set, improved graphics, and new elements. The third game introduced some Mario series staples, like the overworld, power-ups you could use outside... Read All It's that time again, Cheerful Ghost Games Club is back with Super Mario Bros. 3! If you frequent this site you know I love watching speedruns. I think a great speedrunner is not only skilled at the game they are playing but can also explain the history of the run as well as how certain strategies were discovered. Certain YouTube channels do breakdowns of Speedruns and their history and Summoning Salt is one of the best. Check out the historical breakdown of the Super Mario Bros. 3 100% Speedrun above and learn about Mitch Flower Power and the rest of amazing runners that have traded the world record over the years. If this speedrun historical breakdown isn't enough for you, strap in because in a couple days i'm going to post my final 2018 GDQ... Read All If you frequent this site you know I love watching speedruns. I think a great speedrunner is not only skilled at the game they are playing but can also explain the history of the run as well as how certain strategies were discovered. Certain YouTube channels do breakdowns of Speedruns and their history and Summoning Salt is one of the best. Check out the historical breakdown of the Super Mario Bros. 3 100% Speedrun above and learn about Mitch Flower Power and the rest of amazing runners that have traded the world record over the years. If this speedrun historical breakdown isn't enough for you, strap in because in a couple days i'm going to post my final 2018 GDQ Express wrap up series and one run features Mitch and Grand Poo Bear speedrunning Super Mario Bros. 3 co-op! I've not watched this yet, but the history of speed running fascinates me! Super Mario Bros. 3 Turns 30 And Fred Savage Can't Stop Celebrating! Super Mario Bros. 3 was released in Japan in 1988 and later came to the United States a year later making it widely regarded as one of the most influential Mario and platform games. Back in the early 90's I played a ton of Super Mario Bros. 3 and loved it so much I constantly read the Nintendo Players Guide to the point of destroying the magazine binding requiring me to fix it with some packing tape. I still have my Nintendo Players Guide and was happy to see it largely recreated in the recent "Playing with Power" NES Classic guide. A lot has been said about Super Mario Bros. 3 and I think a good way of shining a light on this classic game is through a recent series of... Read All Super Mario Bros. 3 was released in Japan in 1988 and later came to the United States a year later making it widely regarded as one of the most influential Mario and platform games. Back in the early 90's I played a ton of Super Mario Bros. 3 and loved it so much I constantly read the Nintendo Players Guide to the point of destroying the magazine binding requiring me to fix it with some packing tape. I still have my Nintendo Players Guide and was happy to see it largely recreated in the recent "Playing with Power" NES Classic guide. A lot has been said about Super Mario Bros. 3 and I think a good way of shining a light on this classic game is through a recent series of interviews Nintendo did with the original developers of the game during the launch of the NES Classic. If you haven't played Super Mario Bros. 3 and have the inclination to i'd recommend picking up a NES Classic as it's one of the best ways to relive it. "Super Mario Bros. 3 came out in 1988, three years after Super Mario Bros. How did that come about? Miyamoto: The game before that, Super Mario Bros.: The Lost Levels, had been Tezuka-san's directorial debut. 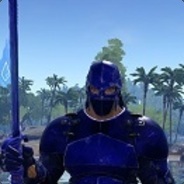 That went well, so we decided to make a completely new game. Tezuka: We made Super Mario Bros.: The Lost Levels by changing the original game's difficulty and stage design, but we couldn't do that again, so I wanted to change everything, including its general appearance." If you want to read the rest of the interview and I recommend you do, head over to the Nintendo website! It’s interesting that it was going to be more 3d originally. I wonder if they went back to try that on the SNES before it finally stuck on the N64? They did quite a bit more with a 3D feel on the Super Nintendo and then the Virtual Boy. I really do think the 3DS is some of the best 3D i've seen implemented in gaming so far so it's cool the finally figured it out. I wonder if that might be coming to the Switch at some point? I was thinking more about with Mario specifically but yeah they did ramp it up a lot on the SNES broadly. StarFox was a technological marvel at the time. Super Mario Bros 3 All Forts Race of MitchFlowerPower v GrandPOOBear in 58:34 This run is embedded above and is not only an amazing test of skill by Mitch and PooBear but it also contains two really unfortunate soft locks. After Mitch's console soft locks the first time they are able to restart the run together but after that PooBear takes the win. It's hard to see this kind of thing happen in a race but both players are cool about it and you can see that in the interview afterward. It was reported that PooBear kicked Mitch's console but that's not quite what... Read All Here's another round of awesome SGDQ runs that you might want to check out. But... Jon why? Read on friends! Recently I picked up 8Bitdo's NES30 Pro bluetooth gamepad. I have a bunch of PC controllers but most of them like the XBox 360 controller are great for PC shooters and other games but not great for traditional platformers or retro games. The NES30 advertises support for the PC, Mac, Android, iOS & more recently the Switch. With some research I found out that the NES30 supports iOS through iCade which is a pseduo-standard that began with the iCade for iPad where the controller acts like a keyboard and games that support the iCade respond to certain keyboard button presses. It's an interesting work around to Apple not having a controller standard at the time until... Read All Recently I picked up 8Bitdo's NES30 Pro bluetooth gamepad. I have a bunch of PC controllers but most of them like the XBox 360 controller are great for PC shooters and other games but not great for traditional platformers or retro games. The NES30 advertises support for the PC, Mac, Android, iOS & more recently the Switch. With some research I found out that the NES30 supports iOS through iCade which is a pseduo-standard that began with the iCade for iPad where the controller acts like a keyboard and games that support the iCade respond to certain keyboard button presses. It's an interesting work around to Apple not having a controller standard at the time until they released MFi which is a new Apple certification standard for controllers. Because of this iCade support is limited to a handful of games and apparently 8Bitdo doesn't support it anymore because in the recent controller firmware they removed iCade support and added support for the Switch. I can understand why they did that and truth be told, you can rollback the firmware to get iCade support but you'd then lose support for the Switch. It would be nice to eventually buy one controller to work with all your devices but it seems Apple disallows this in the MFi licensing terms so, for now, it's not going to happen. The NES30 pairs beautifully with my Mac, PC and Android devices and once setup works flawlessly. It's very light and feels great in the hand. The buttons and action really remind me of the original Nintendo controllers and the analog thumbsticks aren't too bad. I don't think i'd use the NES30 for a modern shooter but for the handful of platformers and retro games I played with it it worked really well. I'm still torn on waiting for the SNES30 Pro or getting this. I definitely prefer the stacked shoulder buttons of the SNES30 Pro but I like the look of this one more. I guess I'll just wait and see how the reviews are for the SNES30 Pro. Glad you like it and it feels right. The button action of the early systems is what stands out for me in your review-- nobody seems to have gotten that right until now. I'd love to see if this is as beautiful in person as it is in the picture! Check out some youtube reviews Adam-- it's not, not quite. But still quite nice. The lighting and framing in the pic above gives it a metallic look. Yeah, it's not quite as glossy but does look good. Are There Good Alternatives To Completing Your Retro Game Library? For many the thought of building up a retro game library of the games you want to collect isn't easy or cheap. It seems like more and more people are trying to collect these old games making stock limited and driving up prices. Even when new opportunities to own these classics comes up by way of the Nintendo or Super Nintendo Classic those options aren't available to everyone as again... stock is limited so what's a person to do? Well Cygnus Destroyer as a video about solutions to these problems by way of flash carts and bootlegs. Seems a bit odd to to me to play a Nintendo Game on a NES recreation like the RetroN and a flash cart when you could just emulate... Read All For many the thought of building up a retro game library of the games you want to collect isn't easy or cheap. It seems like more and more people are trying to collect these old games making stock limited and driving up prices. Even when new opportunities to own these classics comes up by way of the Nintendo or Super Nintendo Classic those options aren't available to everyone as again... stock is limited so what's a person to do? Well Cygnus Destroyer as a video about solutions to these problems by way of flash carts and bootlegs. Seems a bit odd to to me to play a Nintendo Game on a NES recreation like the RetroN and a flash cart when you could just emulate everything on your PC but... All that said, these are great options if you wanted to play a game you couldn't find on your original NES hardware with a flash cart or if your childhood NES broke like mine, replace it with something a bit less expensive and just as useful like a RetroN 3. Artist Dave Delisle has recreated the Portland Trimet light rail lines in the style of Super Mario Bros. 3. I find this particularly cool as I live in Portland and ride the MAX lines when I head into work. Dave has also created version of metro lines in other cities such as Washington DC Metro, Vancouver Skytrain, Pittsburgh LRT, Toronto TTC, Calgary C-Train & the Atlanta Marta. http://www.imagekind.com/Portland-Trimet-MAX-Map-_art?IMID=a23c5985-1fe3-41e8-9b9f-c0ff73c52203 Artist Dave Delisle has recreated the Portland Trimet light rail lines in the style of Super Mario Bros. 3. I find this particularly cool as I live in Portland and ride the MAX lines when I head into work. Dave has also created version of metro lines in other cities such as Washington DC Metro, Vancouver Skytrain, Pittsburgh LRT, Toronto TTC, Calgary C-Train & the Atlanta Marta. Can I get a warp whistle to teleport to that map? That's awesome! RetroLiberty's Shauntendo64 reviews the Super Mario Brothers 3 hack, Super Mario Bros. 3 remix. This is a game that I am interested in playing as it mixes elements from Mario 2, 3, Super Mario World, Mario Galaxy and Super Mario Sunshine all on the Mario 3 engine. It's a great review and the ROM hack looks like one of the more creative fan versions of the game. 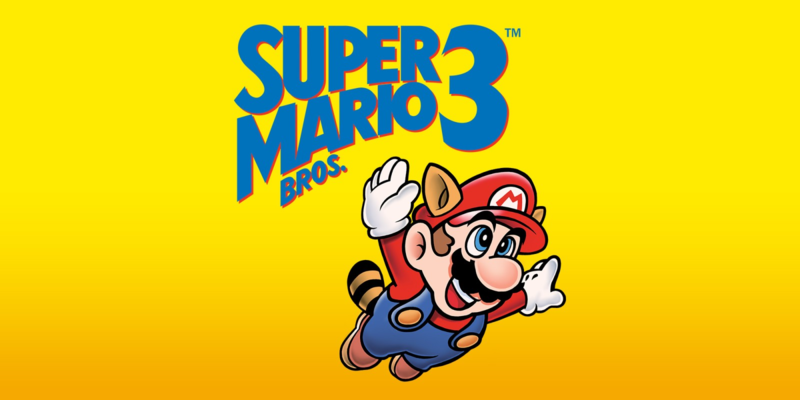 RetroLiberty's Shauntendo64 reviews the Super Mario Brothers 3 hack, Super Mario Bros. 3 remix. This is a game that I am interested in playing as it mixes elements from Mario 2, 3, Super Mario World, Mario Galaxy and Super Mario Sunshine all on the Mario 3 engine. It's a great review and the ROM hack looks like one of the more creative fan versions of the game. I just don't even understand how you'd do this in a rom hack. How can they add reverse gravity, for example? This is so incredibly advanced. It is and I don't really know. I think it's possible that many many years after the fact that the ROM community knows quite a bit about the system and can get it to do things that may not have been obvious at the time. Makes sense though, I always could dodge those bullets pretty well. Hilarious, but extremely violent. Makes sense though, I always could dodge those bullets pretty well.